Register for the hotel rooms on-line here or click on the picture to the right. This directs people to book their hotel reservations directly with SpringHill Suites Denton at our discounted rate. ($104. See below for details.) It is very important to use this link when booking or to call the hotel, as it directly impacts meeting necessary goals to ensure a successful conference. If you wish to reserve a room by phone, call the hotel directly at 1-940-383-4100. Be sure to ask for our special SCRC Piano Technicians Guild rate. 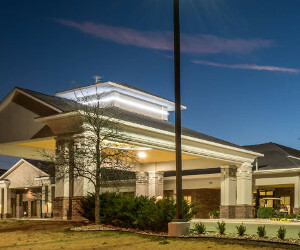 Located in Denton just 34.9 miles north of Dallas Love Field. Book your room by January 23rd! $104. Breakfast Included! Rate available from 2/6-10/2019. Reserve by January 23rd 2019 to get this rate! 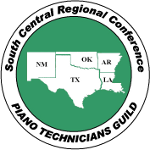 To get the special convention rates at the SpringHill Suites Denton by Marriott you must book a room on-line or call 1-940-383-4100 and ask for the “Piano Technicians Guild PTG- SCRC” rate. Make your plans now for a fantastic piano conference. Seminar begins Thursday, 2/7/19 with All-Day Classes for $95., then continues on Friday with the regular seminar that ends Sunday Feb. 10.
for a great Denton get-away! The hotel is located about 35 miles north of Dallas on IH-35. Exit at Centre Place Drive (exit 465A). Go north about 2 blocks. To find a roommate to share hotel expenses, click the following PTG link. SCRC Roommate Connection (opens in a new tab). Or, contact Jenny Stokes, SCRC Registrar.